Two years into his administration, pundits have been analysing his scorecard and asking whether he deserves another four years. What is clear is that, this time round, Nana’s reelection campaign is not going to be greeted with the same level of enthusiasm. Some political,financial experts and renowned pollsters have gone as far as to predict that he will lose the 2020 election. Why this political misfortune? The answer seems to lie in the fact that most of the things Ghanaians complained about in 2016 are still unresolved or have deteriorated. The administration has failed to fulfil its promises. When it came to power in 2017, Nana promised to tackle three interrelated problems; corruption, insecurity and the economy. But the administration appears to have focused on less important issues and paid less attention on the three interrelated problems and the other promises he made on his campaign platforms. 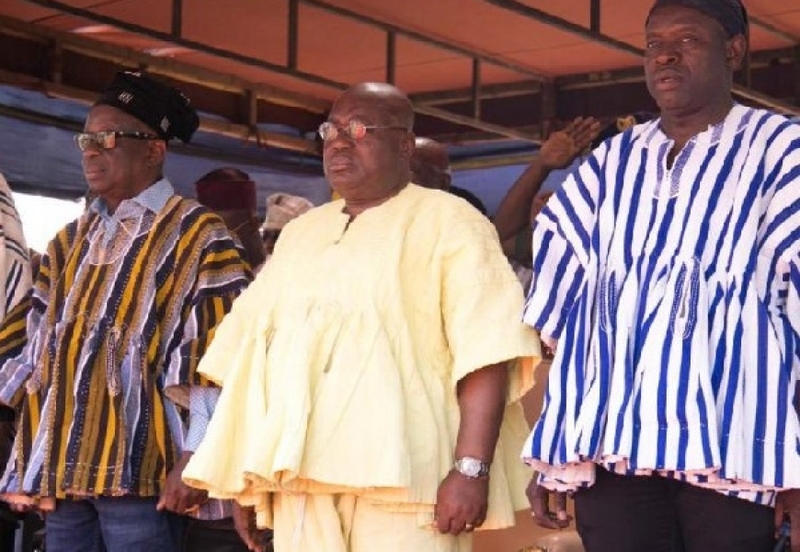 Because of the administration’s inability to implement an expansionary fiscal policy, implement capital projects, the economy has been grappling with anemic growth since Nana’s election. In recent times, some government officials, propagandists, the President, and the man the President claims has all the wisdom on earth fixed in his brains ( Dr Bawumia), have taken turns to regale Ghanaians with their own version of the economic situation in the country. But most of those hired resources persons and speakers are only commenting from their own political lineages, instead of giving a true picture based on facts. Government should stop dancing around the facts and come out with a comprehensive policy. The scary truth is that the administration is losing out on the macroeconomy. In spite of all the beautiful stories being told about the economy, the country’s economy is not only in crisis, but has suffered massive compression in dollar terms. The stark reality staring us all in the face is a sure indication that the economy is only running backwards.